We were pleased to welcome Mr Peter Start from the Rotary Club to our assembly on Friday 9th November. He presented the school with a beautiful book, 'The Lost Words' which is a celebration of the natural world and words used to describe nature. The book was created to celebrate and revive once common words - including acorn, wren and conkers - that have been excised from the Oxford Junior Dictionary because it is believed they are no longer used by children! 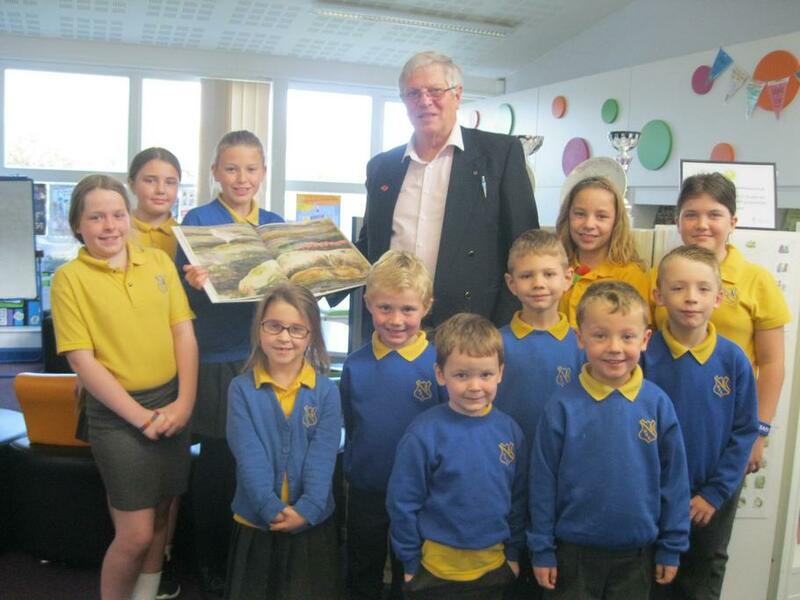 Every school in Lincolnshire has received a copy as a result of a successful crowd funding campaign by Lincolnshire Wildlife Trust and the Rotary Club.